﻿Pumpkins. There are so many things you can do with them. 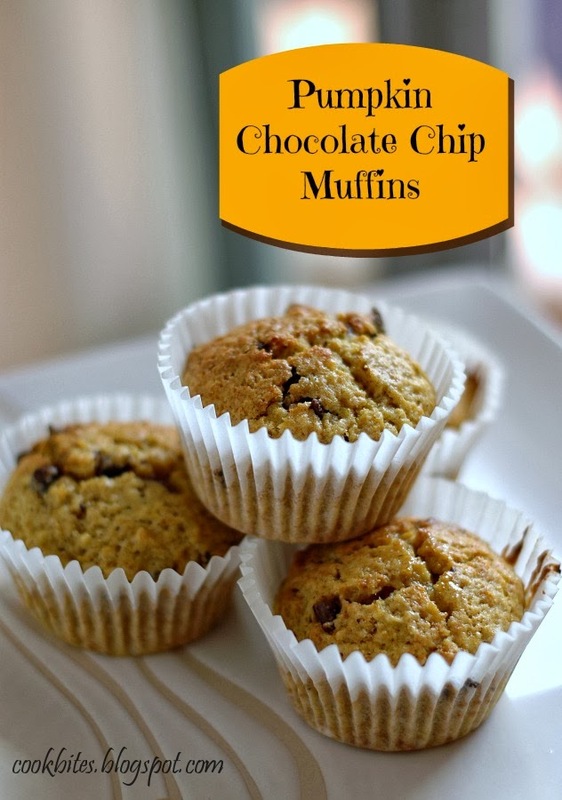 I've used them in pilaf, pancakes, loaf cakes, muffins and yeast bread (which will be in my next post). Pumpkin puree also make a wonderful baby food. 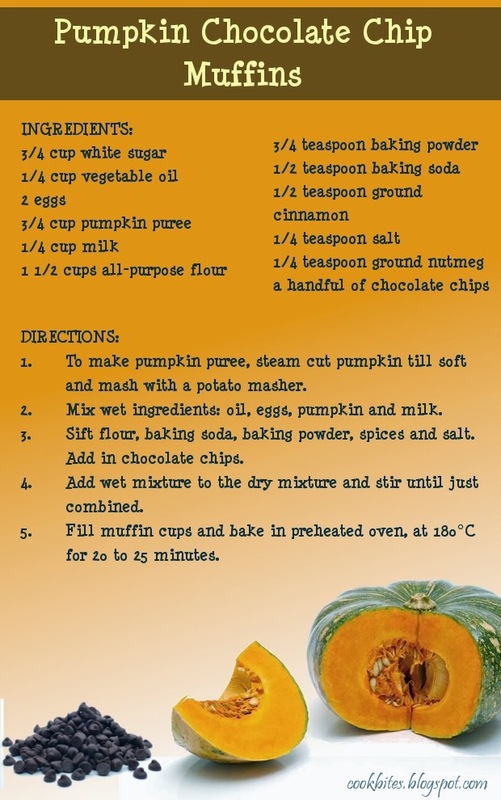 Anyway, here I would like to share a recipe for Pumpkin Chocolate Chip Muffins. These are really easy to make. I used steamed fresh pumpkin but you can also use canned pumpkins. So this is a very short post. Life isn't so great right now. But cooking and baking is always therapeutic. And photography too, if I can get it right.